Being sued in Omaha, Nebraska? Join the crowd! As of March 5, 2013, over 4,700 lawsuits have been filed in the County Court of Douglas County, Nebraska for 2013 alone! That averages out to be 104.4 new lawsuits every business day. And, that’s just in Douglas County. In Sarpy County, Nebraska , approximately 981 new lawsuits were filed in 2013 in the County Court alone! The basics of getting sued. What happens and when? The first document filed by the plaintiff is commonly called a Petition or a Complaint. After the Complaint is filed with the Court, another document called a Summons is generated by the clerk of the court. The summons and the complaint are then “served” on the Defendant. The Plaintiff has a few options on how to serve these documents. The most common way is for the plaintiff to hire a private “constable” to hand deliver the Complaint and Summons to the defendant. The constable then reports back to the court indicating when and where the documents were delivered. If the constable is unsuccessful in finding the defendant, he reports that information back to the court as well and also lets the plaintiff know. Other acceptable ways of serving a lawsuit on a defendant is to send it by certified mail with a return receipt. If the defendant is not at home when the mail carrier knocks on the door, then the carrier normally leaves a yellow card that indicates that a certified letter is awaiting the defendant at the post office. Once you sign the receipt, you are served! Another alternative for service is for the Plaintiff to ask special permission from the court to just send the Complaint and Summons to you by regular, U.S. Mail. The court will ordinarily grant this request if the Plaintiff has tried personal service or the certified mail approach first. Yet another way for service upon the defendant is to ask the court for permission to just leave a copy taped to your last known residence. Does it matter if the defendant actually knows about the lawsuit? NO!!! Many times the Plaintiff is allowed to serve the Defendant by one of the alternate ways mentioned above. It is altogether possible that the defendant would not have real or actual notice. For example, what if the defendant has moved or the Complaint gets lost in the mail? These things do happen and, shockingly, on a regular basis. What is a Complaint (or Petition) and a Summons? 1. ABC Department Store provided a credit card to John Doe. 2. John Doe purchased merchandise totaling $1,000 but has failed or refused to pay ABC Department Store when due. 3. ABC Department Store is entitled to a judgment against John Doe for breaching its obligation. A Summons is a document that the court creates. A Summons is automatically generated once a Complaint is filed. The purpose of the Summons is to officially notify the defendant of the Complaint and to provide a deadline for when the defendant must respond to the Complaint. In the ordinary case, a defendant has thirty (30) days from the date of service to legally respond, in writing, to the court. Failure to timely respond normally results in a judgment being entered by default against the defendant. If a response (commonly called an Answer) is filed, then the court puts the case on its calendar for further hearing and, ultimately perhaps, for a trial. What remedy is available to a plaintiff? Answer: a judgment. And, after the judgment is obtained, the plaintiff will then seek to take some of your property to pay the judgment. If you think about it, what does a plaintiff really want when they sue a defendant? A judgment? Well, yes, technically. But, what do they really want? Answer: Money! How do they get money from the defendant? Answer: Garnishment, bank account seizures (and sometimes by taking property from the defendant). 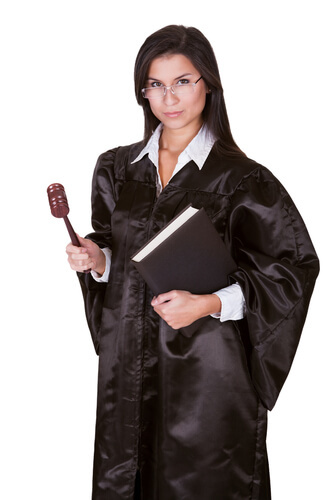 Once a judgment is obtained, then the plaintiff goes to work in trying to get money from the defendant. This is done by requesting a Garnishment of some sort. A garnishment request by the plaintiff results in an Order in Aid of execution. These orders are typically sent to a defendant’s employer or bank. They order the employer and/or bank to withhold money from the defendant and to submit it to the court….which ultimately will be sent to the plaintiff. Wage garnishments are normally limited to about 25% of a defendant’s wages (after some deductions) and everything that is in the defendant’s bank account (some exceptions apply, such as funds from Social Security). It is usually never too late to stop a garnishment by filing a bankruptcy but waiting too long to take action does have consequences. Typically, the plaintiff will be able to keep what it gets before a person files bankruptcy (but not always). A previous blog discussed in more detail the stopping power of bankruptcy with respect to lawsuits. That stopping power is incredibly powerful and fast! There is also significant other information about stopping lawsuits in a bankruptcy on this website.